The Hong Kong Academy of Ice Hockey (“HKAIH”, “we”, “our” or “us”) respects your privacy and commits to comply with the data protection principles and the requirements of the Personal Data (Privacy) Ordinance (Chapter 486 of the Laws of Hong Kong Special Administrative Region). 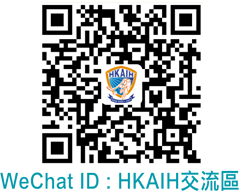 This Policy applies to the members of The Hong Kong Academy of Ice Hockey, as well as any other persons that their personal data is collected while visiting our site www.hkaih.org. The information we collect from you will be processed for the specific purpose given at the time or for any purpose provided for in this policy and the Personal Information Collection Statement (“PICS”) on this website. Such purposes may include fulfillment of your specific requests or applications relating to our programs, tournaments, jobs etc., the processing of your complaints, enquiries or feedback, or the identification and verification of you as a user. The provision of personal data or any information is voluntary. We shall use your personal information to respond to you, regarding the reason you contacted us. We will not share your personal information with any third party outside our organization without your prior consent unless otherwise specified in the PICS or permitted or requested by law. Personal information you provided to us will only be retained for such period as may be necessary for the carrying out of the purposes referred to in this policy and the PICS or as otherwise specified at the time of collection. To protect your personal information, we take reasonable precautions and follow industry best practices to make sure it is not inappropriately lost, misused, accessed, disclosed, altered or destroyed. When you submit sensitive information to us via the website, your personal information is protected both online and offline. We collect information that your browser sends whenever you visit our website. This Log Data may include information such as your computer's Internet Protocol ("IP") address, browser type, browser version, the pages of our website that you visit, the time and date of your visit, the time spent on those pages and other statistics. We shall use "cookies" on our website. A cookie is a piece of data stored on a website visitor's hard drive to help us to improve your access to our website and identify repeat visitors to our website. For instance, when we use a cookie to identify you, you would not have to log in a password again, thereby saving time on our website. Cookies can also enable us to track and target the interests of our users to enhance the experience on our website. Usage of a cookie is in no way linked to any personally identifiable information on our website. Our website may from time to time contain links to other websites of interest. However, once you have used these links to leave our website, you should note that we do not have any control over the other websites. Hence, we are not responsible for the protection and privacy of any information which you provide while visiting such websites and such websites are not governed by this policy. You should exercise caution and look at the privacy statement applicable to the websites in question. We may change this policy from time to time by updating this page without notice in advance. You should check this page from time to time to ensure that you are aware of those changes. In case of any inconsistency or conflict between the English version and versions of other languages, the English version shall prevail.